Yale’s Department of Italian offers the Ph.D. in Italian literature with wider methodological concerns and discourses, such as history, rhetoric and critical theories, comparison with other literatures, the figurative arts, religious and philosophical studies, medieval, Renaissance, and modern studies, and the contemporary state of Italian writing. 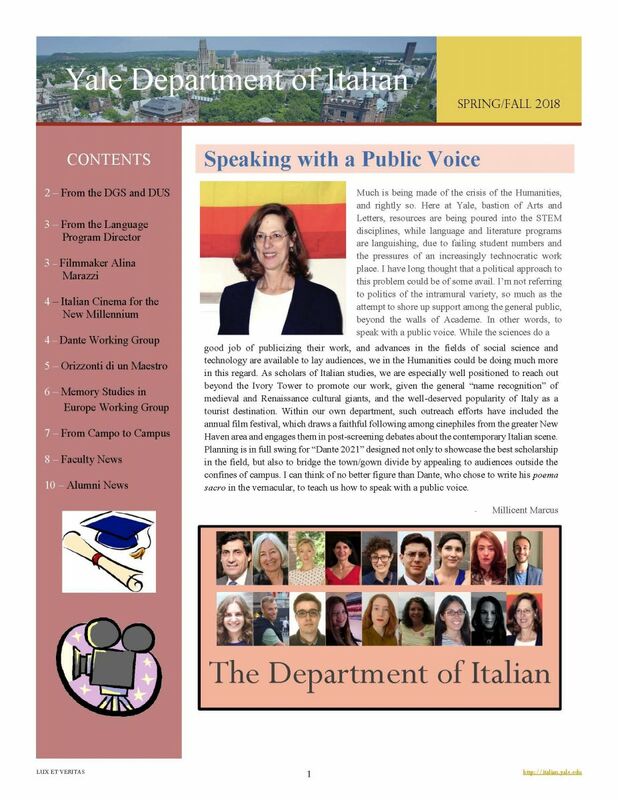 At the undergraduate level, the Department of Italian has two distinct missions: to provide instruction in the Italian language at all levels of competence, and to lead students to a broad appreciation and deep understanding of the literature and culture of Italy. 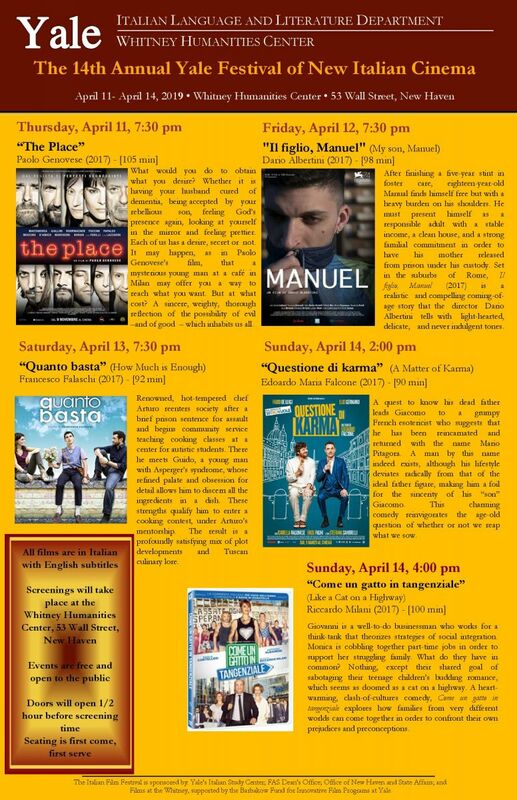 The major in Italian is a liberal arts major designed to explore Italy’s vital role in the development of the humanistic values and disciplines that have infused Western culture over several centuries. Central to the major in Italian is the conviction that study of another language yields the important benefit of enlightening students about their own culture while instructing them about a foreign one. Core courses provide students with a solid linguistic, literary, and historical background in Italian. Additional offerings range across several disciplines, including the study of film, philosophy, comparative literature, history, political theory, art, religious studies, theater, architecture, and music.